It is a common misconception that yoga & meditation is just for women. But in fact, there are known benefits for anyone who practices. We recently shared a post of 100 benefits of meditation. Benefits that are not gender specific! Benefits can range from having a greater sense of calm to having positive psychological changes that link to cellular health. Here is an article passed onto me by my boyfriend from a more “manly” approach to meditation. Enjoy! You likely didn’t think “manly.” And you may not think that meditation has a place in your practical, workaday, red blooded American life. Meditation has a long and storied manly history, and it has been utilized by men from many different walks of life for thousands of years. It has of course famously been a tool used by adherents of many religions, from Buddhist monks to Jesuit priests. But philosophers of all stripes have always seen its value as well; the Stoics used meditation as a tool to develop their fortitude and self-control, for example. And warrior classes across cultures used meditation to instill in their soldiers a keen mind and a fearless heart. 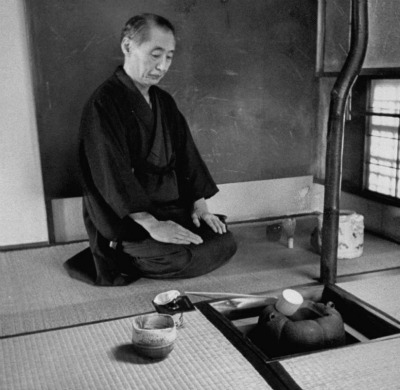 The ancient Samurai are perhaps the most famous warrior/meditator class. They meditated upon death daily so that they could fight without fear. Many of history’s greatest thinkers also happened to be meditators. For example, Darwin and Kant unknowingly practiced what is called “active mediation.” They would take a daily walk where they would ponder some idea they’d been working on. Oftentimes it was during these walks that they had their biggest insights. Fast-forward to today and you’ll find corporate leaders and star athletes using meditation to reach their full potential. Executives from companies such as Google, Target, and General Mills practice meditation. Many people in high-stress (and often testosterone-fueled) jobs such as stockbrokers and attorneys are starting to pick up the practice in order to find peace and calm, as well as regain focus. Phil Jackson, one of the greatest basketball coaches of all time, with 11 NBA titles to his name, is also a longtime meditator. Jackson not only practices meditation in his personal life, he also taught meditation techniques to his players to help them stay calm and collected under pressure, as well as more focused during games. Even the U.S. Marine Corps is testing meditation as a way to increase soldiers’ mental performance and clarity under high stress conditions. Also, many groups and agencies are employing meditation techniques to help soldiers with PTSD and other psychological issues when they return home. We could go on, but you get the picture. The takeaway here is that meditation isn’t just something for dudes who use crystal deodorant instead of Speed Stick. It’s a practice that is not only compatible with manliness, but can be a vital tool in developing it. Meditation is a fascinating subject, but it can be difficult to explain or summarize because you’re sure to offend someone, and you’re sure to run across someone who disagrees with you no matter what you say (usually a self-styled “expert”). While I disclaim any expertise, I have been a practitioner of various forms of meditation for almost a decade, and I believe that a simple, practical approach to meditation is essential for the modern man. Meditation isn’t difficult; generally it’s “gurus” who can make it sound needlessly arduous or dogmatic. To get the benefits of meditation, all you need is a bit of time and the dedication to stick with the practice. You can literally do it anywhere, without any fancy supplies or gadgets. While meditation pillows, bells, incense, etc. can be effective tools (I own them), they’re not necessary. In fact, some of my most intense meditation experiences have been spur of the moment meditations in the woods, on my back porch, or even during lunch in my office. There are really five principle types of meditation, which go by various names in the various spiritual traditions. The goal of mindfulness meditation is to relax and calm your “monkey mind.” What’s the monkey mind? It’s the constant and restless shifting of thoughts that goes on in your head all day. Mindfulness meditation seeks to quiet the thoughts clamoring for your attention and to direct your attention to one thought or sound that serves as your “anchor.” Your anchor could be the sound of water flowing, the repetition of a word, or even your own breath. Of course, if your reoccurring thought is something trivial like a funny YouTube video you saw earlier that morning, dismiss it and and try to get back to focusing on your anchor. One useful mindfulness meditation technique is the Buddhist breath meditation, “vipassanna.” In vipassanna you simply observe your breath or use a “breath set” to anchor your thoughts. For a breath set, inhale and count (1, 2, 3, etc. ), and once you reach your set, exhale and count (1, 2, 3, etc.). Repeat. Simply observe the sensation of the breath entering your nose/mouth, entering and filling your lungs, and then being released through your nose/mouth. As thoughts come into your mind, try to dismiss them and get back to focusing and observing your breath. This type of meditation involves physical activity to allow your body and mind to get into sync, which allows you to experience peace, calm, and clarity. Many people practice/experience this without even knowing it. Ever feel “in the zone” while playing a sport? Perhaps you’ve heard of people “losing themselves in the beat” while dancing. Or maybe you’ve experienced the “runner’s high.” All these are examples of people taking part in active meditation in some degree or another. This type of meditation can be as simple as going for a walk, practicing yoga (Not just for chicks. It’s a heck of a workout if done properly), dancing, or simply working out. Just as in mindfulness meditation, the key is to clear your mind and use the workout or physical movement as an “anchor” to clear your mind of mental garbage. Simply focus on the movement of your body, and the activity immediately in front of you. And if thoughts keep popping up, dismiss or explore them based on their importance. You can also repeat a mantra or positive affirmation in the activity to provide another anchor or stimulation. This type of meditation involves repeating a phrase or word repeatedly. The phrase acts as an anchor to clear your mind. The Transcendental Meditation (TM) movement has made mantra/affirmation meditation a popular form of meditation. In TM, adherents repeat a mantra (word or saying) over and over again. This is what many people think of when they think of “meditation.” A bunch of people sitting around on pillows chanting Aum! Aum! Aum! Or something similar. Basically the vibrations of the word or phrase are supposed to act as an anchor, as well as a stimulant to allow for a clear mind and spiritual progression to take place. One of my favorite things to do is to repeat the Lord’s Prayer one word at a time. Start with “our” and say “our” in your mind. Try to visualize it in your mind’s eye and just focus on “our” for 10-15 seconds (Don’t worry about being exact because that defeats the purpose). Then clear your mind and either mentally or audibly repeat Aum! deeply and slowly three or four times, then move onto “Father”…. Continue through the prayer until you get to the end. You can also repeat a positive affirmation or phrase (Tony Robbins style) such as: “I am great, I am a good person, I am a strong person, etc..” Or meditate on any particularly motivational or inspirational quote that will force you to focus on positive aspects and dismiss negative aspects. What you use as your mantra or affirmation is completely up to you. Just use what works for you and what you’re comfortable with. Insight meditation is designed to explore and focus on one thought or feeling. Before starting an insight meditation, it’s important to have a very calm mind. It might be useful to begin with a breath (mindfulness) meditation to quiet your monkey mind. Once you feel calm and relaxed, you’re ready to move into your insight meditation. Pick a topic. Any topic. It could be “love” or “anger” or “justice” or even “death.” Once you have your topic, allow your mind to just run. Don’t try to control what thoughts come to you. For example, if you pick “love,” you may think about your family, wife, child, romance, Mother Theresa, your grandpa, an old couple holding hands, etc. Just let these thoughts pass. Don’t judge them or try to self-edit them. Just explore what love is and what it means to you. Sometimes it is helpful to think of a negative topic like “hate” and let your mind run. You might be surprised by what pops up in your mind, but don’t judge. Just let your mind do its thing. Sometimes it’s helpful to explore why you associate the images popping up into your head with the word “hate,” and then try to release that negativity. If you are going to do an insight meditation with a negative topic, it’s important to end your session focusing on something positive. You don’t want to leave your meditation on a sour note. Plus, ending on the positive may give you a better picture of how you really feel about a topic. You may discover that a thought you associated with a negative topic ends up returning as a positive association. Insight meditation is extremely useful in clearing your mental garbage. It forces you to explore and make connections you may have long forgotten about, but that are still affecting you on a subconscious level. These meditations are guided by someone (in person or via audio) who takes you through a certain scenario, or even an archetypal dream-type world. You can create your own guided meditation by developing a “plan” for your meditation. Where will you go? What people will you talk to? How will you react to challenges along the way? Guided meditations allow your imagination to run wild and to really explore mental associations in a very active way. Think of guided meditation as watching an amazing movie where you’re the writer, director, and star. For example, in your guided meditation you can imagine visiting your younger self to work though issues, have a conversation with a deceased loved one to finish some unsettled business, or even ask advice from some great man that you admire. The possibilities are limited only by your imagination. We could write a whole series of articles on meditation, but hopefully this one provided you with enough information to pique your interest and get you started on meditating today.